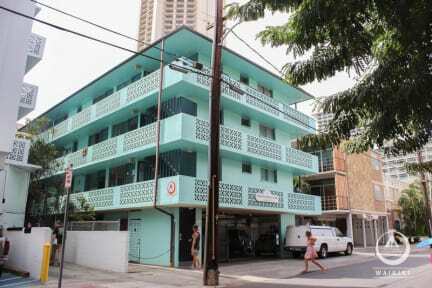 We are situated two blocks from Waikiki Beach and one block from main bus lines. We are Hosteling International, so you can expect our hostel to be clean and safe! 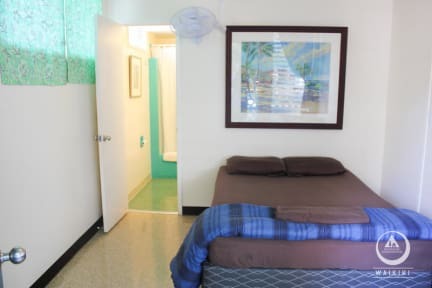 Our dorm rooms are apartment style with two rooms in each dorm and no more than seven people sharing an en-suite bathroom. You can meet all kinds of short term-travelers; students, backpackers, airline employees, and professionals coming for conferences. If you are traveling short term in Hawaii, HI-Waikiki is a great home base for you! We are for short term travelers only. Each guest must have an out of state ID (or from a different island) or an incoming/outgoing plane ticket showing recent arrival and departure within three weeks. Hostelling International is a non-profit membership based organization, promoting peace through hosteling since 1909. Non-members will be asked to pay an additional $3 fee per night upon check-in. PLEASE NOTE: Check-in available until midnight only. Please contact us in advance to make arrangements for a late arrival check-in.